A Big Thank You to the Cossie Club Upper Hutt who as Sponsor for this event provide extra funding for prizes in the form of Gift Vouchers to be redeemed at the Cossie Club. Fantastic. Thank You. Thanks to Chris Brooks, our Club Captain, for taking the time to come down and set the day rolling. Thanks also to our Event Officials John Cooper, Allan Old, Jamie Ryland who, along with the players who, after being knocked out, stayed on to help, made the event run very smoothly and successfully. The weather was not fantastic so these folks deserve special accolades for sticking through the sometimes rather uncomfortable conditions. With a late apology from one scheduled participant, the 2016 Cossie Club Shootout Final started with only 18 participants. Play still started from #1 but the 15th hole, which is stroke-hole 18 (the easiest one on the golf course ☺ ), was skipped in terms of shootout proceedings. Congratulations to all who made the final and special congratulations to our 2016 Cossie Club Men’s Shootout Champion, Clinton Codyre. Never let it be said that low handicappers have no chance in this event – Clinton is on a 4 handicap, the lowest in a field of 18 with the highest handicap a 24 and there being a good spread in between (7 players under 10, 7 in the 10 -20 range and 4 over 20). And we must remember those who did not make the Final – without their participation, the event would be a non-event !! Congratulations Kim, our 2016 Cossie Club Women’s Shootout Champion. Special thanks to our ‘behind the scenes’ organisers, Sonia & Di in the Shop and Maree, Grahame and Blake for managing the sale and supply of refreshments. 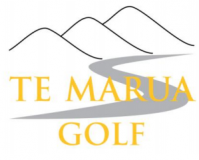 A great day – despite the occasional shower – so be sure to put the Cossie Club Shootout on your list of must-do golfing events for Te Marua Golf Club’s 2017 Season.